When I was child, I got out of bed one night to get a drink of water. As I walked by the living room where my mom and dad were watching TV, a woman on the screen was clawing her way out of an earthen grave. The sight of that mud-covered hand and sound of her choked breathing haunted me for years. Most people have reoccurring nightmares about forgetting their locker combinations or showing up to work in just their underwear. I took it to a whole different level. I dreamed about being buried alive. I’d wake up cold and shaking and gasping for air. To this day, the idea of being trapped underground without air terrifies me. So of course I wrote a book about it. Perhaps because of my primal fear, The Buried was a tough story for me to write. I wrote the first draft, and then I set it aside for TWO years. It was simply too dark, and the villain’s back story was too disturbing and honestly...heartbreaking. 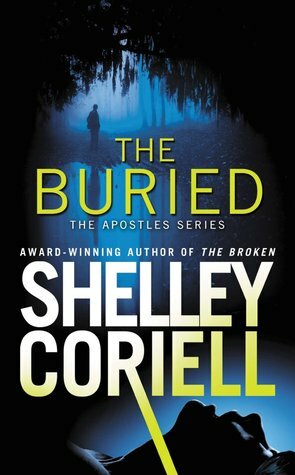 When my publisher asked for book #2 of the Apostles Series, I re-read the first draft of Buried and realized that the story wasn’t about victims being buried alive but about FAMILY. The minute I got my head around the theme, I knew exactly what the book needed: Alex, Hatch’s attitudinal thirteen-year-old son. As soon as Alex stepped onto the page, I had a sub-story that gave me a little break from the horror and a minor character who would help Hatch and Grace transform and finally love again. I can’t wait for readers to join me for another dark and twisty but ultimately uplifting story of hope and the healing power of family. Sign into Goodreads to see if any of your friends have read The Buried.